Mom, is Chance the Rapper a Christian? It’s not something anyone expected to see at the Grammys—a rapper leading worship. If you missed the moment, then you not only missed Chance the Rapper making history winning three Grammys for his ‘streaming-only’ album, but you also missed him praising God, joined by Kirk Franklin and a full Gospel choir. Unquestionably a bold move for a mainstream rapper. The confusion is understandable. On one hand Chance has numerous songs with profoundly Christian lyrics, and he talks openly about his faith journey as a black rapper. Some even say he “represents Millennial Christianity.” But on the other hand, Chance doesn’t hesitate to drop F-bombs, or rap about drinking and smoking weed. He even collaborates with extremely profane rappers like Lil Wayne and 2Chainz. How are parents supposed to answer a question like that? Maybe we should remember how Jesus commonly answered questions like this—with another question. The key would be to move from a position of judging someone else to examining our own faith. One thing we know for sure. Chance needs Jesus as much as we need Jesus. How can we help our kids seek Biblical answers to these everyday questions? Sometimes we cripple our kids from making these decisions on their own by making these decisions for them. We don’t teach them to look for the answers; we just provide the lists of “good” and “bad” influences. We almost create checkboxes. Chris Tomlin is good. Selena Gomez is bad. Then we see on the news that Selena led worship at a Hillsong concert. Uh… is Selena still ‘bad’? What if we taught our kids to think Biblically about their entertainment media choices? How can we lead our kids toward discovering these answers on their own? What are some positive elements you see in Chance’s music? Chance definitely seems to want to praise God in his music. We saw this clearly in his song he performed at the Grammys, How Great. Chance has countless examples of not only giving God praise in his music, but referring to God’s redemptive work in his imperfect life. These elements are definitely worth complimenting. What are some questionable elements you see in Chance’s music? Sometime Chance seems to send mixed messages. Who is you? And who the f**k is you? And who is him? In true hip hop fashion Chance uses foul language, puts others on blast, and pumps himself up. But then he habitually gives that credit to God. “I got angels.” In other words, God is looking out for me. Some would argue this crass or abrasive talk is just typical hip-hop culture. And is it wrong to brag about your own accomplishments, if you keep them in the perspective of being from God? Are we to believe that this is just hip hop culture as well? (Or is this maybe becoming American culture?) I guess the better question to ask is if smoking a bowl is right? Here’s where scripture has some amazing advice about living wisely, being careful how we live, not being foolish, not being drunk with wine, but being filled with His Spirit instead (Ephesians 5: 16-18). Chance probably knows this. The question we all need to ask is, does listening to All Night make us reflect on the empty moments of our life, or does it make us want to do what so many songs instruct us to do, let go, lose control and drink it up? The more you dive into Chance’s music, the more you’ll see he talks about real issues, but you won’t always agree with his word choice, and you won’t always agree with his conclusions. F**k wrong with you? What you were thinkin’? F**k you thought it was? Should I listen to Chance the Rapper? What are we to set our minds on? What does that look like today? Why does he tell us to think about things above, not earthly things? At the same time, many 12-year-olds who aren’t facing these struggles probably will be more distracted by these lyrics than encouraged, thinking about some of the “earthly things” mentioned in these songs. When our kids are young, we’ll help them make these decisions. As they get older, they need practice making these decisions more and more on their own. I wish I would have done this more with my own kids. As we help our kids through this process, keep your focus on Jesus. Jesus is a walking anomaly. He is pure, blameless and Holy… but also perfectly loving… which made him compassionate, forgiving and accepting. He is the cleanest guy you know, who doesn’t hesitate to mingle with the dirtiest people you hope to avoid. Keep that in mind when you look at Chance the Rapper. How would Jesus respond to Chance the Rapper? Or more relevantly… how would Jesus respond to you? Thank you so much for this article. My son (16 years old) likes rap but wants to expand from Lecrae, NF and Andy Mineo. He recently asked me to take his restrictions off of Apple Music so he could expand his playlist with more rap. He says that the lyrics “don’t affect him” and he just likes the style of music and the beat. I am really struggling with this. Thanks for the suggestions of questions to ask him so he can come to his own conclusion rather than me just saying “no”. Unfortunately Amy, your 16 year old son I already listening to other rappers other than the ones you mentioned. He’s 16! He’s basically just asking your approval so he doesn’t have to hide it anymore. I listened to all that garbage when I was 16 too. I love hip hop still today but I don’t listen to all the junk I used to. But, when he tells you the lyrics don’t affect him that’s a lie. Lyrics are always powerful. Arrogant lyrics will make you think arrogantly. When the f word is said multiple times it seeps in until you don’t notice it much anymore. So if he isn’t affected, then there’s probably already a problem. But, this article is great. Not all secular artists or songs are “bad”. But we still gotta monitor what goes into our hearts and minds. What we put in we are sure to get out. And just because there are edited versions or no curse words doesn’t mean it isn’t bad either. There are no edited versions for world views. It’s much deeper than profanity. And if you didn’t realize it, you are already approving of one of the most arrogant rappers out there in NF. I don’t condemn his music because I like it… but to allow NF and not be open to other rappers might be a display of how much you have actually listened to the artists you allow. Just giving you a perspective of someone who loves hip hop and listens very often, especially Christian hip hop like lecrae, mineo, trip lee, kb…and even NF. Oh…I know it is true that what we listen to affects us (and him whether he thinks so or not). And I know he listens to stuff I don’t like or approve of. Look at a lot country music talking about drinking and getting drunk. Sadly these kids don’t have to listen to rap to consistently be exposed to horrible language. It is on the bus, movies and even TV has more profanity than it used to. It is widely accepted. You are right I don’t listen to it because, honestly, I cannot stand rap music. I can’t even understand half of what they are saying. Thanks for your input. I definitely don’t have the answers. It’s a struggle. I think all we can do as parents and ministers is to keep conversation open and continue to point them to Christ. Much of the hip hop today is obviously anti christ. But this is something they have to discover on their own. We hold to our faith and point them to Jesus and then allow the Holy Spitit to work. One resource I would point you to is a book called “the good life” by trip lee. He’s a Christian rap artist and a great author. He has a very biblical view on this topic. Thank you for this! I appreciate your posts, but this was a question my 16 yr old daughter and I were having during the Grammys. We were not familiar, but wanted to support this new artist to us–just couldn’t decide what to purchase. Your post provided our answer as well as great talking points for the Hamilton CD her younger sisters love that we have put specific track boundaries on for a while. Truly enjoyed your post today. Lots of thought provoking comments and things to consider. Thanks Jonathan! I was thinking of writing a similar piece for the families in our youth group but once again…you did the work for us! I’m a mom of 3 boys, ages 13-19, and a youth pastor in a culturally diverse setting. My husband and I came of age during the late 80’s and early 90’s, the golden years of hip, so hip-hop/rap is one of the genre’s our sons listen to. 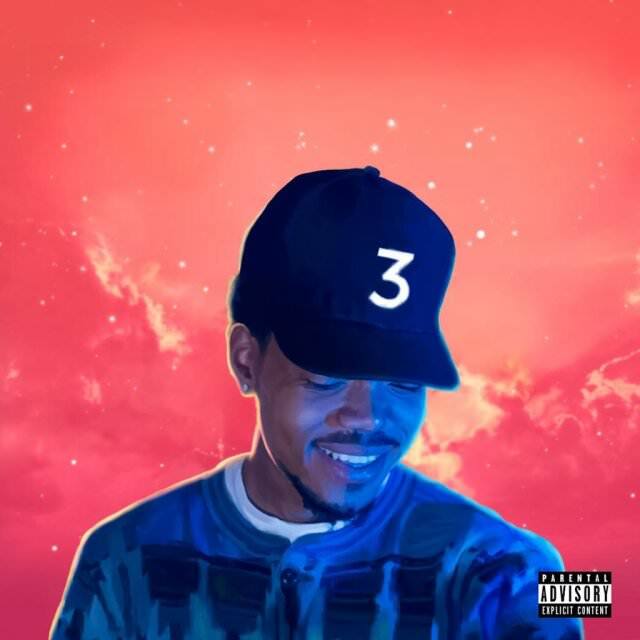 Our 19 year old introduced us to Chance almost a year ago and as a mom and youth pastor I am taking a keen interest in his music and his development as a millennial artist who is a Christian but not a “Christian rapper”. I am finding that Christian millennials, and probably future generations, are less likely to create work that is distinctly Christian, yet still believe there faith should and does influence their art. I think this is something us Gen X’er and older folk will need to get accustomed to. It doesn’t allow for the easy “yes” or “no” answers to the question – “is this appropriate for my teenager. Especially as these artists themselves are still developing and growing as artists and as Christians. I’ve watched with interest the comments and questions on Facebook and wondered how to guide parents. Your article gives a great guide a place to start. Thanks for always providing timely and relevant insight for us parents and pastors! Excellent article. Thank you for taking the time to give us viewpoints from so many different angles. I especially love the “Would Chance say you are a Christian?” and the “What the youth are really asking is…” sections. 2. Is heavenly vs. earthly just another way of saying good vs. bad? 3. Maybe Chance is the next in a long line of characters like the ones we read about in the Bible? Maybe he drinks like Noah, gets angry like Elijah, cusses like a soldier/fisherman, and leads worship like David? …I think those last two are the interesting conversations. How do we make sure we aren’t trading one dichotomy for another? And is there a way to teach our students about the darker sides of our biblical heroes without “giving them permission” to do likewise?